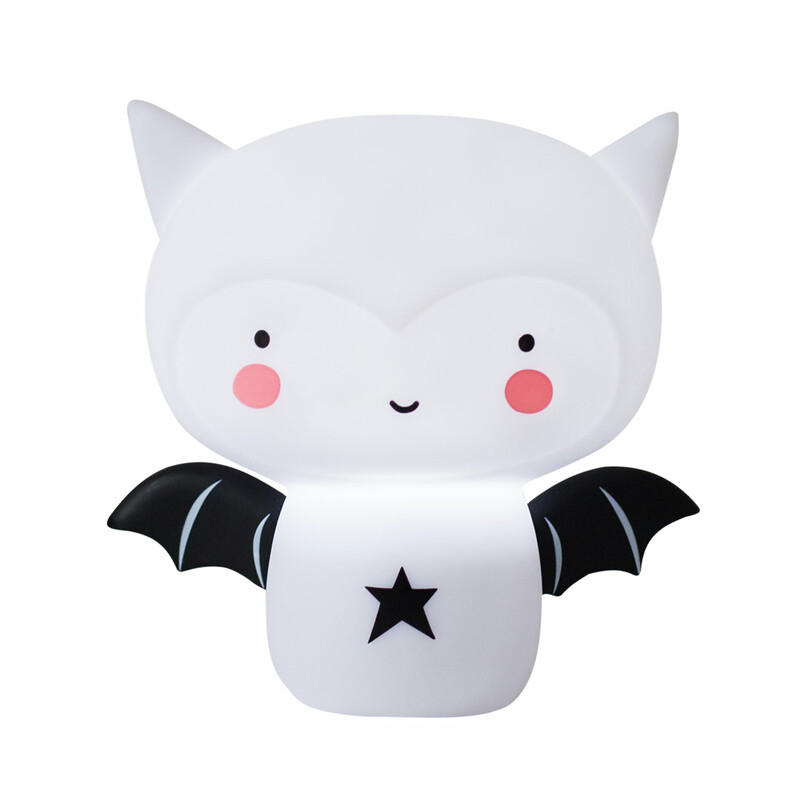 The LED Rechargeable Bat Night Light by A Little Lovely Company is the ideal nighttime companion since it doesn’t get hot and is fully portable. 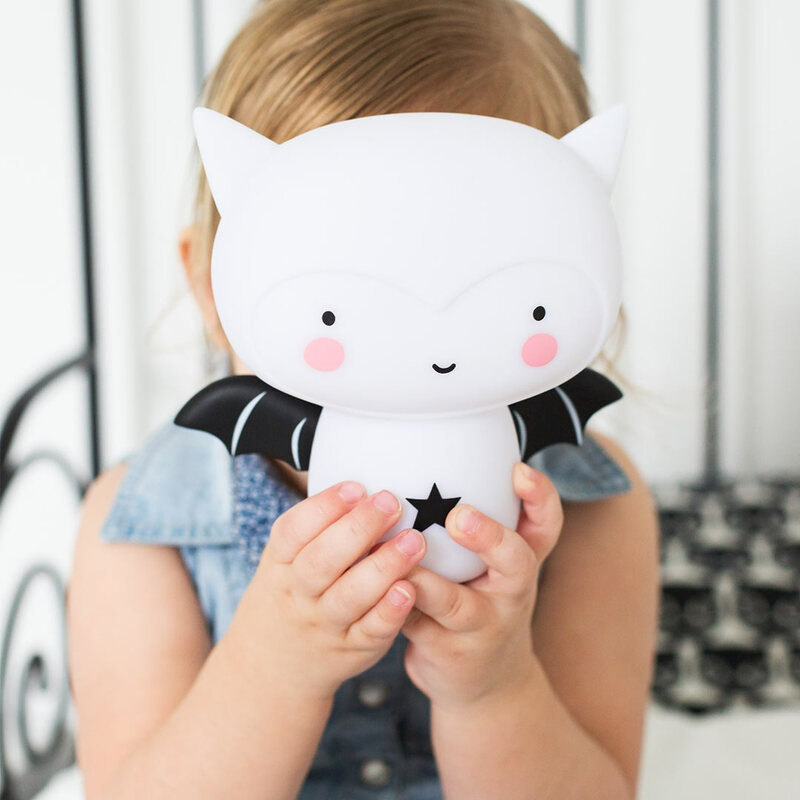 This adorable little black & white bat light is just the right size for little hands to hold, so kids can take it with them on trips to the bathroom during the night, and even snuggle up together under the covers! 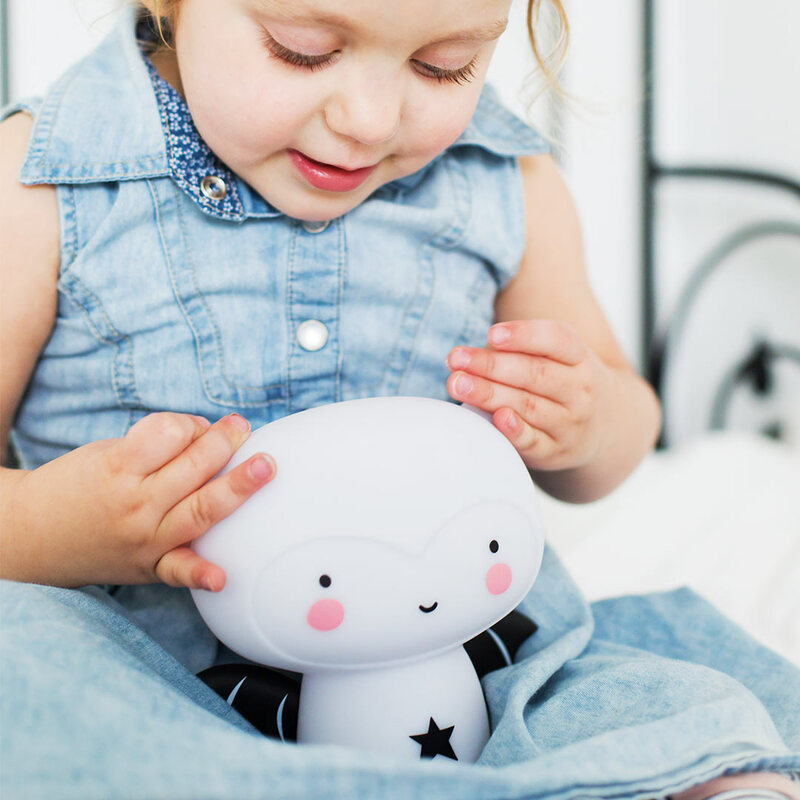 With two light intensities, full or soft light, it’s great for reading a book at bedtime, then switching to a soft glow to take little ones through the night (or set on the 30 minute timer). The light can shine continuously for 10 – 12 hours (full light) or 20-25 hours (soft light), and can simply be placed on the docking station to recharge during the day to be ready for the next evening. 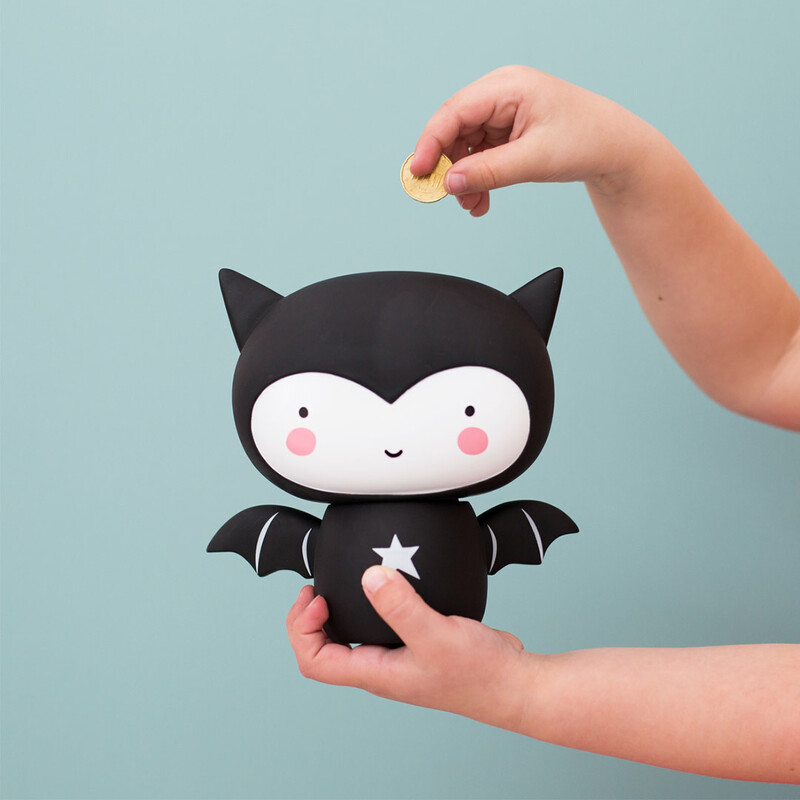 No batteries are needed and the charging station is included, with the recommended charge time being up to 12 hours. 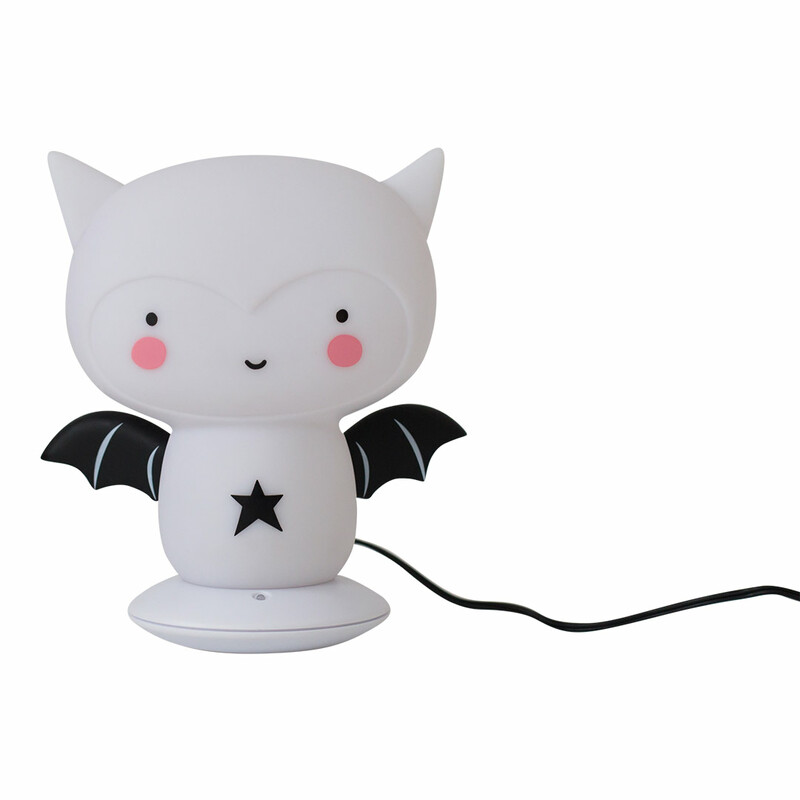 Additionally, this night light has a two year guarantee.